SGLI is a program that provides low-cost term life insurance coverage to eligible Servicemembers. If eligible, you are automatically issued the maximum SGLI coverage. If you qualify for SGLI, you are automatically enrolled and do not need to apply for coverage. Servicemembers can make changes to your SGLI coverage. For example, Servicemembers can decline SGLI coverage, select a lesser amount than maximum coverage, designate beneficiaries, and/or make other changes. SGLI coverage is available in $50,000 increments up to the maximum of $400,000. Covered members receive 120 days of free coverage from their date of separation. Coverage can be extended for up to two years if the Servicemember is totally disabled at separation. Part-time coverage is also provided to Reserve members who do not qualify for full-time coverage (members covered part-time do not receive 120 days of free coverage). If you are totally disabled at the time of separation (unable to work), you can apply for the SGLI Disability Extension, which provides free coverage for up to two years from the date of separation. At the end of the extension period, you automatically become eligible for VGLI, subject to premium payments. SGLI premium rates are the same as those drilling for pay. However, each branch of service handles payment of premiums during this non-pay period differently. If you are a drilling Reservist or Guard member in a non-pay status and have questions about whether you are covered by SGLI and how to pay your premiums, view our branch of service contact list for the number to call for information. If you have SGLI coverage, you pay a monthly premium that is automatically deducted from your base pay. The current basic SGLI premium rate is 7 cents per $1,000 of insurance. The premium includes an additional $1.00 per month for Traumatic Injury Protection coverage (TSGLI). 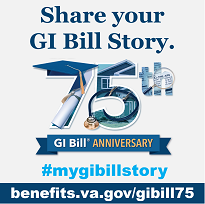 You must apply to convert SGLI to VGLI within one year and 120 days from discharge. Veterans who submit their application within 240 days of discharge do not need to submit evidence of good health, while those who apply more than 240 days after discharge are required to answer questions about their health. Follow this link to learn more about VGLI. Some medical conditions may make it difficult or even impossible to obtain private insurance. If you have any of these conditions, you should consider purchasing VGLI. Follow this link to learn more about medical conditions that may make you uninsurable..
Servicemembers covered under the SGLI program have the option to convert their SGLI coverage to an individual policy of insurance within 120 days from the date of separation from the military. Learn more about converting to a commercial policy. You no longer need to use the SGLV 8286 to change your SGLI elections! You can now manage your Servicemembers’ Group Life Insurance (SGLI) coverage using the SGLI Online Enrollment System (SOES). SOES allows Servicemembers with full-time SGLI coverage to make fast and easy changes to their life insurance coverage and beneficiary information at any time without completing a paper form or making a trip to their personnel office. To access SOES, sign into www.dmdc.osd.mil/milconnect and go to the Benefits Tab, Life Insurance SOES- SGLI Online Enrollment System.